Twisted Spoon Press, 9788086264318, 139pp. Originally published in 1945 by Les ditions de l'Oubli in Bucharest, The Passive Vampire caught the attention of the French Surrealists when an excerpt appeared in 1947 in the magazine La part du sable. Luca, whose work was admired by Gilles Deleuze, attempts here to transmit the "shudder" evoked by some Surrealist texts, such as Andr Breton's Nadja and Mad Love, probing with acerbic humor the fragile boundary between "objective chance" and delirium. 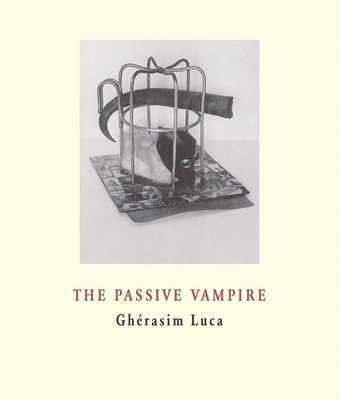 Impossible to define, The Passive Vampire is a mixture of theoretical treatise and breathless poetic prose, personal confession and scientific investigation it is 18 photographs of "objectively offered objects," a category created by Luca to occupy the space opened up by Breton. At times taking shape as assemblages, these objects are meant to capture chance in its dynamic and dramatic forms by externalizing the ambivalence of our drives and bringing to light the nearly continual equivalence between our love-hate tendencies and the world of things.